Group Discussion Ideas > General GD Topics > Is hosting Olympics good for the host country? Modern Olympics Games started in 1896,held in Athens. More than 200 countries are participants of Olympics. ‘International Olympic Committee’ (IOC) is the governing body of the Olympics Games. The IOC chooses the host city for each Games, and organizes and funds the Games. For becoming a host city, several cities compete to convince their own countries and then IOC that they are right venue, safe with convenient transportation plus efficient and elaborate infrastructure. The process is very expensive. And even after being chosen as host cities,many cities have nearly been bankrupted. The Olympic Games brings elite athletes together to compete on a global stage as well as give host nations a way to showcase their countries to the world. Using Olympics as advertisement can result in a tourism boom. Hosting the Olympic games has a positive impact on a country’s economy. It raises the exports and gives host country a chance to enhance it’s trade ,which in turn helps in improving the economy. Trade is around 30% higher for countries that have hosted the Olympics. Those who lost the competition also saw the increased rate of exports. Hosting Olympics helps in raising the profile of the city and country. It is considered prestigious to host the Olympic Games successfully. It accelerates the improvement of infrastructure in the city where the event is hosted, such as road facilities, boarding and lodging facilities , swimming pools, communication facilities, sports stadiums etc of the international standard. Hosting Olympics besides promoting tourism in the country also provides a number of employment opportunities to native people. The host country earns in millions by selling ticket sales for the event, telecast rights etc. 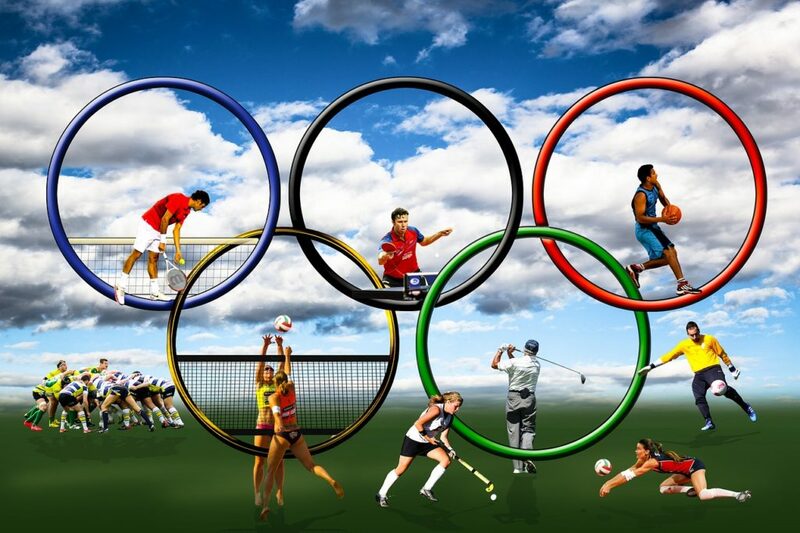 Several researches indicate that there are very few former host cities that have been benefited from the Olympics. Not only the Olympic Games but the bidding process for the host city is also a Olympic event in itself. During the bidding process cities spend tens of millions of dollars to win the hosting competition. In the bidding process for hosting 2016 Summer Olympics, Chicago spent nearly $100 million dollars, still was unable to bag the same. The environment in which the preparations for the Games takes place is not quite healthy to rational, effective planning. Sports venues and stadiums must be built in time and this puts pressure on the planning, resulting in rush. This results in comparatively low quality of infrastructure than is possible. While organising the Olympics Games, cost of whole event goes upto $20-30 billions estimated. Recent Olympics Games have costed more than $30 billions, such as in Beijing where estimated cost went to $40 billions. For democratic countries,spending this much money is not a easy task. Countries like China which don’t have to give account of money spent to public, can afford to spend money quite easily. Further IOC takes half of the total revenue collected,which is roughly $5-6 billions. This shows the loss that the host country faces. There is little evidence that tourism increases during the Games. Rather, Olympic tourists replace normal tourists, who want to stay away to avoid the congestion and greater expense during the Games. Once the Olympics Games are over ,the city then must find the productive use of the dozons of venues it has built. These projects often requires investment upto hundreds of millions of dollars, several acres of valuable real estate and further money to maintainance. Despite this, many of these buildings are rarely used at all. The classic example of this may be given as that of many of the venues built for Athens games which proved very expensive but were later often seen as a metaphor for Greece’s deteriorating economy. Massive clean-up efforts results in smog and pollution. This damages the environment around the city. In recent years, many Olympic host cities have had to face the issues like corruption, rapidly raising costs, underinvestment in public services in the run-up to the Games, and projects that don’t help but most of the time harms much of the population. The Olympic Games have also resulted in controversies like boycotts, politics, use of performance enhancing drugs, terrorism and violence. Terrorism directly affected the Olympic Games in 1972, when eleven Israeli athletes were killed,now known as Munich massacre. This endangers the safety of athletes as well as native people. We can hold the Olympic Games in multiple cities at a time to lessen the burden on any one place. Allowing the cities to bid for a particular sports venue they can handle so well ,would minimize the cost and allows countries to get really good at hosting that sport. We can hold the Olympic Games at same spot every time . This would save the lot of investment in physical capital being done every time. This will also involve developing human capital who will have enough experience to organize the event extravagantly and in budget. Some also proposes rotating the Olympics among several cities that recently hosted the Olympics, perhaps choosing five to represent five interlocking rings of Olympic symbol or cycling them through a permanent venue on each continent. Though the host cities are facing problems to organize such a most elaborate and complex event, IOC gives no serious consideration to the alternatives suggested by the experts. Olympics have advantages that could as easily turn into disadvantages if not planned properly, which hardly happens. That’s why, many host cities have ended up being bankrupt. It’s a trick to handle the organisation of Olympic Games and showcase the city and country successfully along with managing to reap the profits from it, that not many host cities have mastered. Afterwords :- Did we miss any point? Let us know your opinions on this topic in the comment section below.